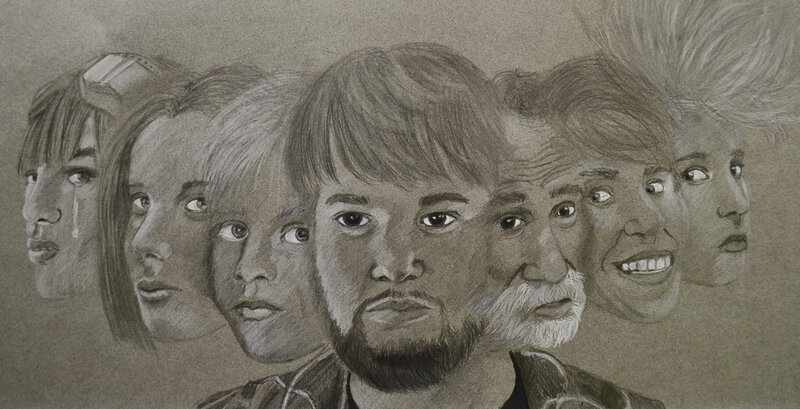 Dissociative identity disorder, or DID, is a cognitive condition whereby an individual feels disconnected from their identity, thoughts, feelings, actions and memories. Although many of us may experience mild dissociation from timetotime like during a daydream, the DID relates to severerdissociation. Read on if you suspect such an issue on you or your close ones. DID, as mentioned, is a cognitive condition that is characterized by the disintegration of one's own personality; an individual may have two or more distinctive personalities present within one human body. People may also experience severe memory loss, which cannot be explained by normal absentmindedness. The condition is not caused by any immediate medical or illicit substance.Diagnosis of DID was once a rare occurrence, although the number of reported cases has risen over the years, which has led to controversy surrounding methods of diagnosis. DID can develop after an individual undergoes severe trauma (be it mentally or physically) which is not processed or dealt with properly. By dissociating from their own personal identity, an individual can distance themselves from the traumatic event and the negative repercussions of that trauma. Lack of nurturing and safety in response to severe trauma or abuse. Some have described the condition as feeling as though you are a passenger within your own body, leading you to act differently to how you normally would; such as drive recklessly, or steal from your friend or loved one, whilst feeling compelled to do so, as if they have no control. This therapy is commonly used for emotional and cognitive conditions, using specializes psychological methods to encourage an individual to be open about their problems in a communicative way. This therapy works by helping to change an individual's cognitive thinking patterns, so as to instill a more positive approach to thought processes. Although there is currently no medication that can help to resolve DID, certain medications (anti-depressants) may be useful in relieving the symptoms of this disorder, like depression, anxiety and other symptoms. The family therapy can help the family of the patient to get sufficient information about the DID, therefore the family can support the patient more effectively and recognize symptoms of a worsening or recurrent condition. This involves an individual using the medium of art and creativity to express their inner-emotions in a positive and creative way. This can include painting or drawing, writing or performing music, writing creatively, etc. This type of hypnosis utilizes methods of intense relaxation and concentration, to allow an individual to achieve a relaxed state of awareness, an altered state of consciousness. At this time, a person is able to explore thoughts and feelings that may not be apparent in a normal conscious state of being. It is very common for schizophrenia and dissociative identity disorder to be confused with one another, although actually they are quite different. Schizophrenia refers to recurrent or chronic psychosis, and such a mental illness is featured by hallucinations and delusions. The most common symptoms of schizophrenia is delusions (thinking things are real or have happened that are not real or have not happened), and audible or visual hallucinations (hearing or seeing things that are not actually there). The main difference is thatan individual with schizophrenia still associates himself/herself with singular personality; however, the perception of reality is distorted. Although, some symptoms of the two conditions are similar, the multiple-personality symptom is only apparent in DID. The risk of suicide is also thought to be higher in those with multiple-personalities.